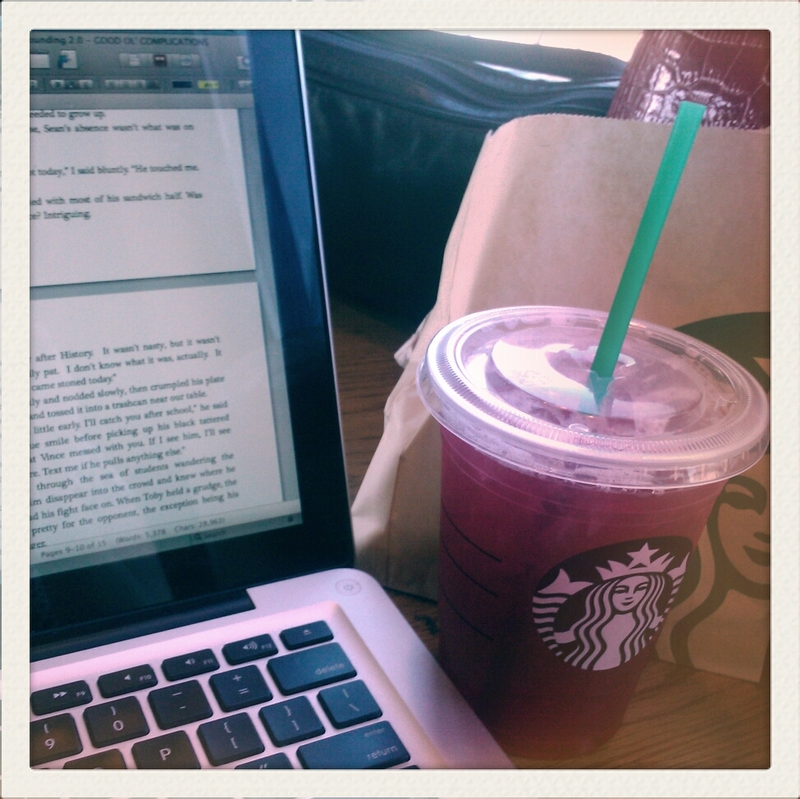 I think this picture sums up my daily ritual pretty well: Scrivener, Starbucks, some highly caloric slice of deliciousness, and the impossible-to-order-correctly-in-one-try Medium Unsweetened Passion Iced Tazo Tea Lemonade. (See? Told you!) 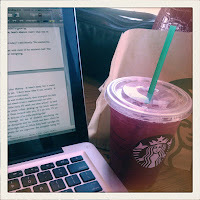 There's something about a coffee shop that makes my writing sessions that much more productive. Classical conditioning at its best, no? As you can see, I made a few tweaks to the blog. While it didn't necessarily look bad as it was, I've been wanting a more personalized and informal space for quite some time now. Of course, the funny thing about that is the fact I plan to blog less about my personal writing and more about general writing advice and literary analysis. Go figure. Anyway, I am currently enjoying a lovely little mountain-side vacation in which I'm drinking tea, listening to the on and off rain/hail, and wrestling the wild and unruly Darkness Surrounding. (I think I'm winning, although it's hard to tell sometimes.) Toodles. 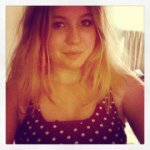 Have a request for an advice/experience post? Let me know below!